There are various levels of security that you can apply to your bitcoins. A specific level of security should be applied depending on the size of the stash. A mobile or online wallet is often sufficient for smaller sums that you intend to be using for online trading or online purchases. I would still recommend enabling 2 factor authentication for any online wallets and avoiding rooting or jailbreaking your mobile when using mobile wallet. However the ultimate security for your bitcoins is a wallet that is completely disconnected from the internet and as such unreachable by hackers. Such wallets are commonly called offline wallets or cold storage and some concrete examples are paper wallets, other physical media, USB hard drives and upcoming dedicated hardware devices. I’d like to talk about encrypted paper wallets because they appeal to me the most as a cold storage due to their simplicity and the low cost of creating them. The common theme when creating offline wallets is that any device used to create them has to be offline and the wallet itself can never be connected to an online device until you plan to spend the bitcoins it contains. An offline wallet will prevent any money to be spent but you are still able to send bitcoins to it and to view the balance easily. Just import the public key into your favourite wallet client. (Remember that a bitcoin wallet consists of two parts: the public key is like an account number that you give out for people to send money to and you can also use to check the balance. 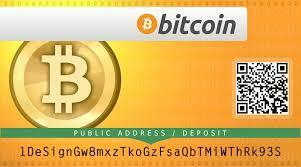 The private key is like a PIN code that is used to spend the bitcoins. If anyone finds your private key your wallet will be emptied and this is irreversible). When combined with the very strong encryption standard BIP0038, the paper wallet can even be publicly shared without risk of being compromised (as long as the password is kept secret). They can also be packed up online! What you need: a live linux cd, source code for bitadress.com, one or more usb drives, a printer. Download Tails linux ISO and burn it to a DVD. Boot up your computer using the DVD and load up bitaddress.org html from the USB stick. Generate one or more encrypted paper wallets and scan the public address so that you can send coins to it later. Print multiple copies of the paper wallets or write down the private key manually using pen/paper. If you find creating and booting from the DVD complicated you can use the online versions of bitaddress.org but be aware that your are then exposed to any man-in-the-middle attacks or if your computer has been compromised an attacker could get hold of all your paper wallets. Additional steps depend on the sum you are planning to store. Put the paper wallets in waterproof bags. Leave a copy with a friend you can trust. Consider storing a copy in a safe. Split up your stash between multiple wallets to lower the risk and to allow for spending in increments. A recent version of the Android mobile wallet Mycelium has added import of BIP0038 encrypted private keys. This makes it very easy to scan the encrypted wallet and start spending the bitcoins on it. BitCoin is taking the world with storm and with it the price of BitCoin is skyrocketing. In the last 6 months there have been a flood of new and innovative services that use BitCoin. Enough to justify a long term life for bitcoin and to justify an ever increasing price due to a physical limit on how many bitcoins that can be created. ATMs that convert cash to bitcoins, online and high street shops that accept bitcoins as payments, high street brokers that convert money to BTC and back, payment gateways and even Subway that accept bitcoins and are just some of the examples. You may have been interested in getting in on the action; be it for investment purposes or just to experiment. Unfortunately BitCoin (and all crypto-currencies in general) is a complicated concept and the barrier to entry is quite high. You have to consider how to get your money, be it USD or GBP or EUR, across to a person that is willing to part with their bitcoins (BTC). You also have to consider security: how to avoid losing your cash, how to transfer the bitcoins to yourself and how to keep your bitcoins safe. Bitcoin exchanges are a place where sellers meet buyers and the bitcoin exchange provides a service to match these people up. There are several established bitcoin exchanges but instead of discussing them all I’d like to mention the one that has allowed me to instantly purchase bitcoins (and litecoins, LTC) in the UK on several occasions. Bitbargain.co.uk is using UK bank transfers, also known as Faster Payments. This allows for near instant and free transfers between buyers and sellers. I cannot stress enough how much this facilitates bitcoin trading in the UK. The downside is that the purchase prices on Bitbargain are a bit higher than on an exchange so this favours sellers but not buyers. The markup seems to be 8-10%. However if you want to get in on Bitcoins quickly then this is still the best option. Once you have your bitcoins, you have to consider security. Bitbargain charge a small fee to leave your bitcoins with them which is an incentive to move them away. This is a smart move because exchanges with a lot of bitcoins have been target of hackers that have stolen millions worth of bitcoins. To purchase bitcoins and tucking them away my preferred method is a “paper wallet”. The concept is to print out the cryptographic secret that secures your bitcoins and store the physical paper in a safe place (or multiple places). You can still use you your wallets public address to send bitcoins to but you (nor anybody else) is able to spend those bitcoins without having access to the printed secret. To keep smaller amounts I can recommend a mobile bitcoin wallet, for example Bitcoin Wallet for android devices and Blockchain for iOS devices. Keep it to small amounts only! Good luck, have fun and please avoid purchasing at the top of a cycle!